You May Be Entitled To Back Pay! Our lawyers front the costs of your case. You only pay when we collect for you. In America, the vast majority of employers are bound by federal and state law to compensate their workers fairly. The Fair Labor Standards Act was designed to protect this nation’s lower-income working class, by mandating a federal minimum wage and guaranteeing workers the paid overtime they’ve earned. In theory, the Act put a stop to centuries of exploitation, long decades in which business owners got rich off the sweat of their employees. But theory is a long way from reality. Every year, hard-working employees like you lose out on billions of dollars in wages and overtime pay. The attorneys at WageAdvocates.com are here to get back the money that’s been stolen from you. Workers from LA to New York deserve a fair shot at success. For hundreds of years, America’s been sold as a land of opportunity, of freedom, a place where hard work and unfailing commitment are rewarded. But our nation’s industries are sick, and more employers than not are failing faithful employees on the way to the American dream. The Economic Policy Institute has called wage theft an “epidemic.” We couldn’t agree more. WageAdvocates.com is sponsored by an alliance of experienced trial attorneys more than ready to take on withholding employers big or small. Led by Tim Becker, Esq., partner at Johnson // Becker, our lawyers are committed to fighting wage theft. We’ve been doing it for decades, and our record of success shows that we do it well. Tim’s stood up for call-center agents, insurance company employees, healthcare workers and delivery drivers, litigating major class actions that have put the business world’s biggest players on notice. Now, along with the other lawyers here at WageAdvocates, Tim’s ready to stand up for you. Not every employee is protected by the FLSA’s overtime laws, but most are. If your job is covered, the FLSA promises you a minimum wage of $7.25 per hour and overtime pay of at least one-and-a-half times your regular rate. After placing your payment details in the related fields you will see the amount you are owed. Note: Your result will be rounded to the next dollar. Is Overtime The Same Everywhere? No matter where you live in the United States, your wage can’t be lower than $7.25. That’s the guarantee we fight to see honored every day. But in some states, where legislatures have passed higher minimum wages, employers may be even more likely to dodge their obligations. To find out what wage and hour laws hold in your state, click here. Obviously, that’s a tricky question and we’ll only be able to know for sure after thoroughly investigating your work situation and compensation history. But huge companies get the FLSA wrong all the time. Starbucks, Fedex, Walmart, Bank of America – they’ve all been hit by class actions in recent years, lawsuits thousands-strong that say employees were misclassified to get around overtime requirements, denied reasonable meal breaks or simply forced to work without pay. Taco Bell seems to pay out a multi-million dollar settlement over wage violations every few years. So why not your employer? In 2012, all the robberies, muggings and bank heists in America were valued at $341 million. That’s only one-third of the amount recovered from wage and hour violators by the US Department of Labor, state enforcement agencies and trial attorneys. But that’s only the tip of the iceberg. Based on extensive research in New York, Los Angeles and Chicago, the Center for Urban Economic Development found that two-thirds of all low-income workers in those three cities were the victims of at least one wage violation every week. If their numbers are correct, American workers nationwide are being robbed of nearly $50 billion every year. Whether employers are breaking the FLSA or a state law, minimum wage and overtime violations are insultingly common. Why Do I Need A Minimum Wage & Overtime Pay Lawyer? While the Department of Labor has been tasked with forcing employers to hold up their end of the bargain, the DOL’s annual recoveries are a drop in the bucket of wage theft. In fact, civil trial lawyers recover more for low-wage workers every year than the Department of Labor, state labor departments and state attorneys general combined. Federal authorities can make the laws, but wage and hour regulations don’t mean a thing unless they’re enforced. That’s where the attorneys at WageAdvocates.com come in. The Department of Labor is obligated to protect the interests of more than 135 million American workers. In practice, the agency is overextended and understaffed, which means most employees fall through the cracks. With an experienced trial attorney at your side, you’ll receive the kind of personalized attention and aggressive representation you deserve. Don’t fall into the statistics. Contact our FLSA lawyers today to begin your fight for justice. At WageAdvocates.com, we understand how difficult it can be to survive on a low income. You may be struggling to support your family, or working diligently toward a degree. We’re going to be honest with you: this is all about money, the money you’ve rightfully earned. Wage theft is an insult to your hard work and dedication. Our attorneys don’t want to become another burden. 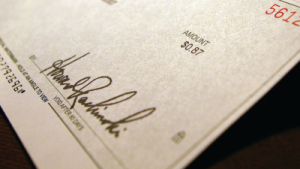 We believe everyone deserves experienced legal counsel, no matter what your bank statement looks like. We strive to hold wage thieves responsible. That’s why our services always come on a contingency-fee basis: you owe nothing until we win a court award or settlement in your favor. Learning more about your rights and legal options is free. To speak with an experienced FLSA lawyer today, just call 877-629-9275 or fill out our contact form.